Black Market is Detroit’s first break out multiple award winning reggae band. 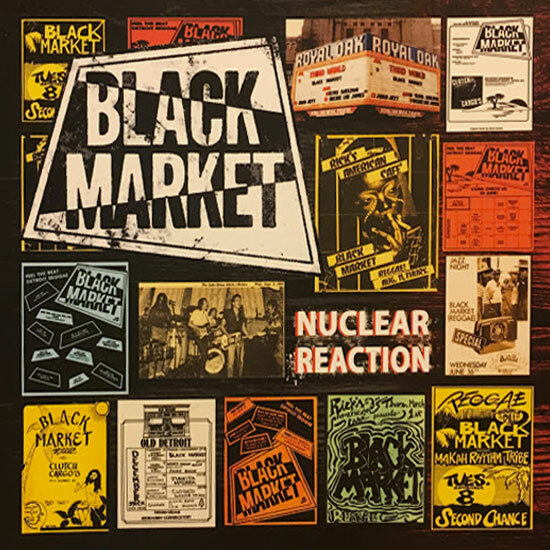 Performing and touring in the USA , Canada and Jamaica, Black Market has been a supporting act for such legendary reggae artists as Jimmy Cliff, Gregory Isaacs, Toots & the Maytals, The Wailers, Black Uhuru, Steel Pulse, Yellowman, Third World, Fatman Riddim Section, John Holt, Tyrone Taylor (Little Cottage In Negril), Half Pint, Blue Riddim Band. NUCLEAR REACTION features the original founding members on these live-in-the-studio recordings. Black Market is Detroit’s first break out multiple award winning reggae band. Performing and touring in the USA , Canada and Jamaica, Black Market has been a supporting act for such legendary reggae artists as Jimmy Cliff, Gregory Isaacs, Toots & the Maytals, The Wailers, Black Uhuru, Steel Pulse, Yellowman, Third World, Fatman Riddim Section, John Holt, Tyrone Taylor (Little Cottage In Negril), Half Pint, Blue Riddim Band. NUCLEAR REACTION features the original founding members on these live-in-the-studio recordings. Years in the making, sourced from the original analog tape reels, these restored sessions showcase their Jamaica connection. 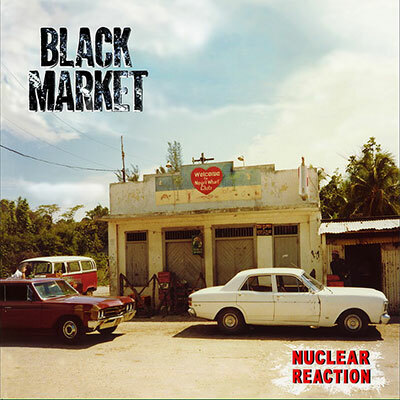 Hear official recordings, for the first time, of the line-up that put Black Market on the map: singer/guitarist Larry Duncan, the late Stuart Brady on bass, lead guitarist Rick Purdy and his brother Mitch Purdy on drums. Percussionist Saycu Ellis lends his talents to the proceedings as well. 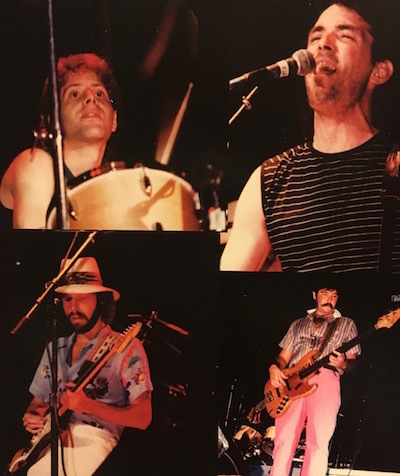 Brady and guitarist Purdy left the group not long after these recordings and Jim Megerian and Bob Monteleone joined up and Black Market went on to make more recordings and perform for many audiences through the 1980’s and most of the ‘90’s. But they never strayed far from the sound that the original group invented. NUCLEAR REACTION is available here on CD and limited edition 180 gram vinyl record.